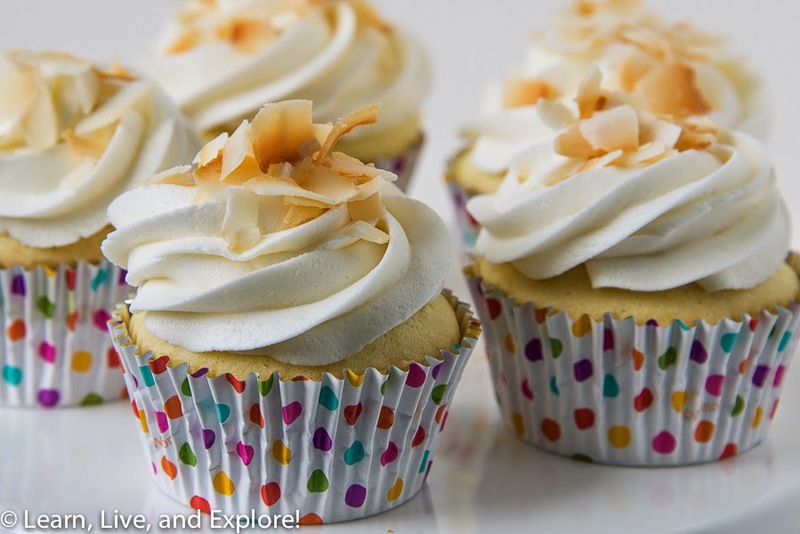 Gluten Free Vanilla Coconut Cupcakes ~ Learn, Live, and Explore! My friends recently had a baby, and I wanted to bring them something in addition to the present I had already bought. Not having kids myself, I would imagine that the first few weeks with your first baby are pretty hectic - getting used to a totally unfamiliar routine - and the last thing on your mind is making food. So, I thought it would be nice to bring them something that they can snack on. 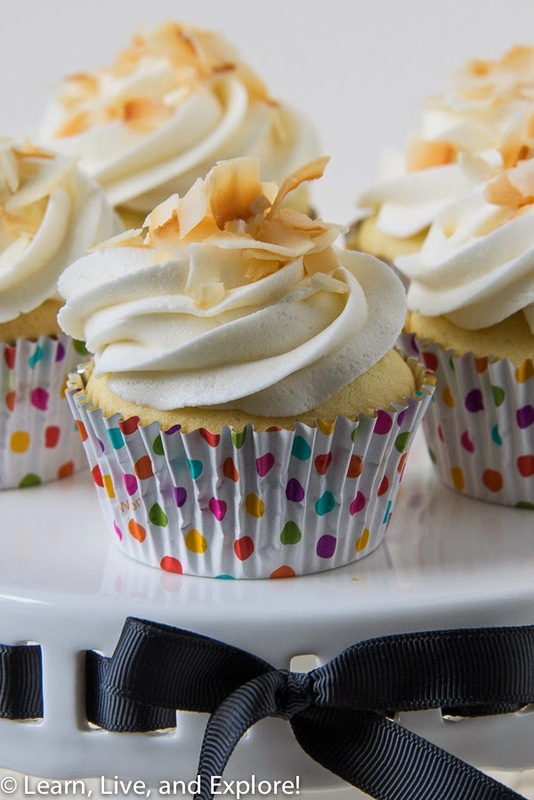 Of course, I am not a great chef, but I can certainly bake; therefore, I set out to find a simple and delicious recipe that also was gluten free so that the new mom could enjoy a sweet treat as well. The fact that the recipe I found was a modification of gluten free boxed cake mix just made my day all the merrier! Add the sugar and extracts, and 3-4 Tablespoons of the milk - beating on a low to medium speed until the sugar is mixed in. Once combined, beat on high until creamy.